Lemon Tree B&B is a beautifully appointed bed and breakfast offering warm hospitality in a tranquil and private setting. It is conveniently situated just a minute off the M13 freeway and is within walking distance of shops and restaurants. Guests will enjoy their own private entrance, lots of comfort, charming décor and hospitable service. 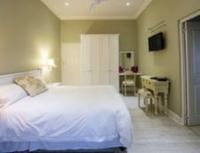 Lemon Tree B&B offers a peaceful environment in which to unwind after a busy day at the office. Features include very secure parking, Internet and fax facilities, a swimming pool and a tennis court, with dinners available on request. 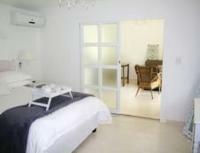 Lemon Tree B&B consists of two double rooms. One room has a double bed with and en-suite bathroom with a both bath and shower, and the second bedroom contains two single beds and a sleeper couch, with an en-suite bathroom with both a bath and shower. 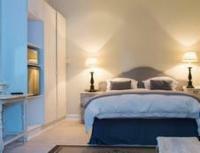 All rooms have DStv and smoking is allowed on the veranda or in the garden. Lemon Tree B&B is an accredited member of 1000 Hills Tourism and 1000 Hills B&B Association KwaZulu-Natal Tourism. Classic Double Room with Shower (4) Sleeps 2 Includes: Room Only This double room features a balcony, microwave and electric kettle. Absolutely wonderful B&amp;B.Beautiful and value for money. 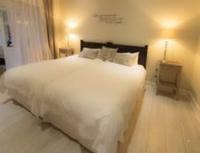 Lemon Tree B&B is 23.6km from the centre of Durban , the nearest airport 39.1km (King Shaka International Airport).